Arcata High School will celebrate its homecoming on Friday, October 19th, with a Plaza Parade at 1:15 pm and the Varsity game vs. Hoopa at 7:30 pm in Redwood Bowl. Luau Night! – On Saturday, October 20th, the Rotary Club of Mad River will celebrate Hawaiian style at the McKinleyville Activity Center. The festivities begin at 5:30 pm. Also on October 20th is the ARMACK Orchestra’s Silent Film Fundraiser at the Arcata High School Fine Arts Building. The twin bill consists of “Cops” and “The Rink”. There are two showings – a matinee at 2 pm, and an evening performance at 7 pm. The October 24th is the 6th annual World Polio Day, and the theme is “One Day, One Focus”. Wherever you are (and I mean just about anywhere on Earth), you can find an event on the World Polio Day website. District 5130 will hold a Membership Training Seminar on Saturday, October 20th from 1 to 4 pm at the Humboldt County Office of Education. The next day (Sunday, October 21st), the District will present a Foundation Training Seminar from 11 am to 2 pm. This will be held at the Elks Lodge, immediately prior to the Foundation Celebration at the same venue (see above). Check your email to register for either or both events. 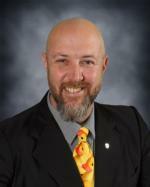 Rotarian of the Week: John Gullam!! 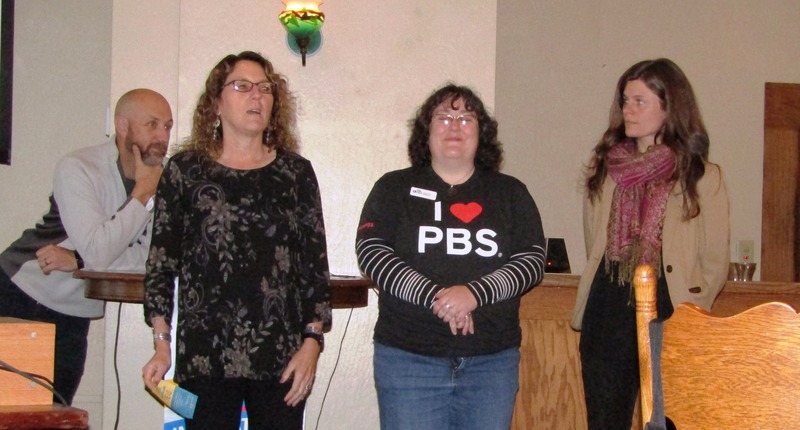 Our Featured Speakers were all from KEET-TV, our local Public Broadcasting System affiliate. We heard from Katie Whiteside, the Director of Community Engagement; Valerie Eurs, KEET’s Director of Membership; and Shannon Perkins, their Director of Auction and Special Events. Katie told us that the organization has been working to produce more local programming to complement the offerings from PBS. She said that the station is also participating in “The Great American Read”, where viewers watch and participate in discussions of 100 best loved novels, and then vote on their own favorites. Valerie encouraged us to support KEET, and she provided a personal story that explains her passion for public television. And Shannon reminded us that the Auction will take place starting on October 29th. If you want to donate an auction item, please let her know!